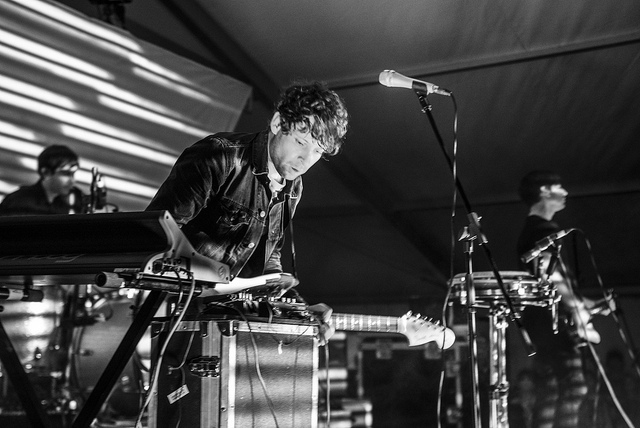 Austin Psych Fest, the brainchild of producers The Reverberation Appreciation Society, has developed from a 10 band bill of like-minded acts in a small venue, to a three-day celebration of the finest mind-expanding sounds currently being made. 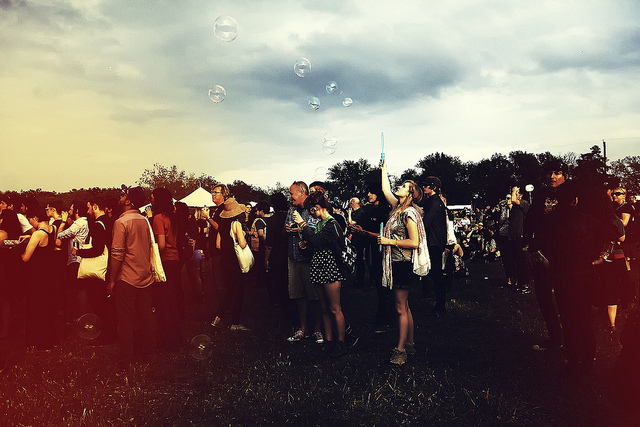 Now in its sixth year, the festival sprawls across the acreage of a ranch on the southeast side of Austin, and has commanded international attention, drawing together droves of fiercely devoted constituents of swirling reverb and coalescing sounds to bear witness and take part in ritualistic bouts of echo, fuzz, garage-rock hysteria, and just about anything else that can fit into the vague bubble of psychedelia. The fields of the Carson Creek Ranch served as home for the weekend to lines of flowingly garbed Stevie Nicks impersonators and men that fell from the skies of 1967. Local vintage stores brought pop-up shops stocked with native jewelry and large brimmed hats for all, and the event appeared from the outside to be more a gathering of a forgotten occult sect to worship some celestial body on its ascent through the sky, rather than a music festival in 2013. The vibes were laid back, the weather was ideal (save for a bit of rain and mud on Saturday night), and while you could certainly tell which fans were tasting the sounds rather than hearing them, most people appeared to keep things together quite well for a festival celebrating the best in psychedelic music, its history, and its associated trappings. 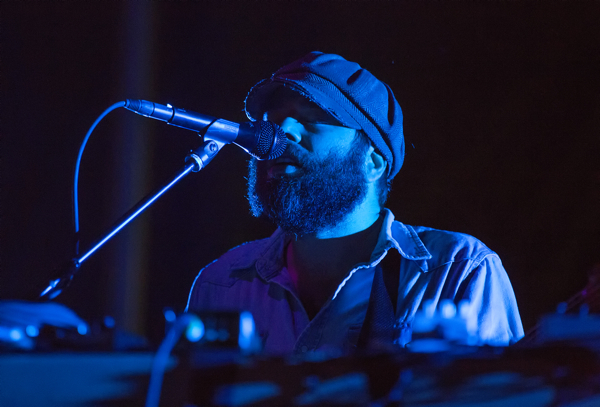 Tamaryn – Elevation Amphitheatre – 8:00 p.m.
As a calm dusk settled over the buzz of Psych Fest’s opening day, a wash of tape delay-drenched guitar and lumbering drums drifted out from the makeshift amphitheater that had been set up overlooking Carson Creek. Fans in various states of intoxication — or expansion, as it were — lined the hills overlooking the picturesque creek as Tamaryn appeared, a pink-haired nymph of noir, and proceeded to coo through a set of soaking wet nu-gaze ballads. As the lighting from the stage danced upon the canopy of the trees guarding the creek, Tamaryn grasped her mic stand gently, occasionally rattled a tambourine in the air, and provided the crowd with a sonic sigh (and possible new infatuation) before the more bombastic sonic baptisms scheduled for the evening commenced. The Soft Moon – Levitation Tent – 9:00 p.m. The post-kraut, synthpunk juggernaut that is San Francisco’s The Soft Moon stomped a hole in the night and the collective heads of the crowd that filled the Levitation Tent to groove to the band’s intense rhythms. Singer/guitarist/synth-monger Luis Vasquez beat on his guitar mercilessly and moved about the stage as erratically as Jaz Coleman’s thoughts, grabbing brief opportunities to scream into an echo affected mic between bouts of hammering synth. While one might expect a band of this nature to be the odd man out here, even beneath the exceedingly large umbrella of psychedelia, the Soft Moon’s martial sound and bad-trip vibes were an exceptionally exciting way to crack into Friday night. The Raveonettes – Reverberation Stage – 10:00 p.m.
Day 1’s heady buzz continued to electrify the field in front of the Reverberation Stage as Danish psych-pop duo The Raveonettes struck up the first jangling chords of its set. 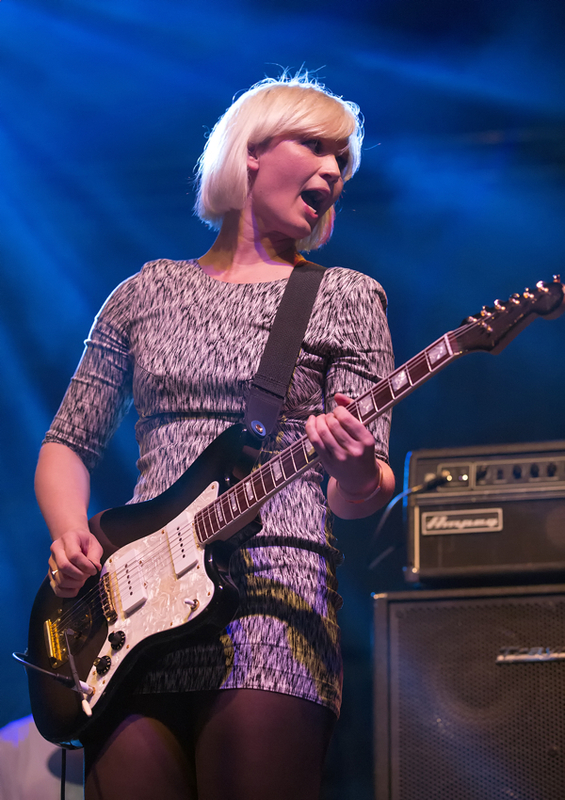 Sharon Foo was as lovely as ever in her mod-approved mini-dress, and the crowd swayed along gently as Foo and Sune Rose Wagner laced together saccharine sweet harmonies over the feedback and clang of their matching Fender Jazzmasters. And while Foo was wonderfully put-together visually, she made sure to continue the crunching fuzz madness that was the calling card of the festival with a beyond visceral fuzz-bass freakout at the end of “Bowels of the Beast”. 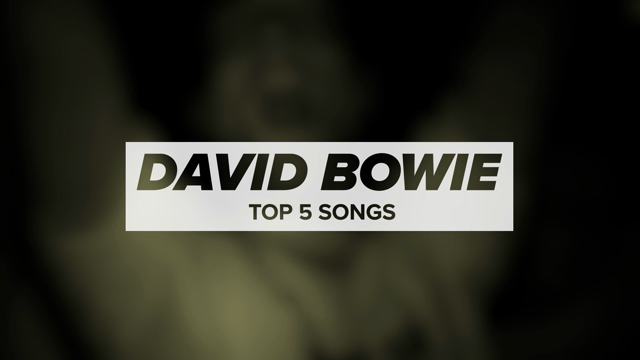 The set was no doubt a reminder for many as to why this band had such unprecedented hype in the early aughts. 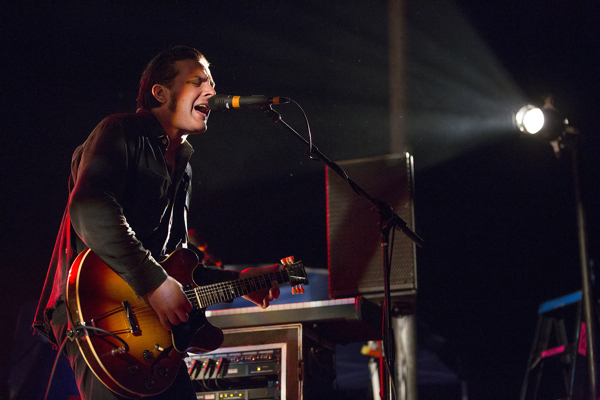 Black Rebel Motorcycle Club – Reverberation Stage – 11:30 p.m. When I happened upon the stage set up for Black Rebel Motorcycle Club, an odd cocktail of complete and unchecked fear mixed with an inexplicable desire to move even closer. From the unique arrangement of the guitar amps (Peter Hayes’ rig features a Fender Twin tilted towards the sky, as if to assault the ears of God himself), to the archaic looking ropes bracing Leah Shapiro’s drums, the air of destruction present prior to the band’s set was at once kinetic and palpable. Link Wray’s “Rumble” played through the sound system, and I realized at that moment that I was entirely alright with BRMC ending my life with whatever ignorant display of volume and rock ‘n’ roll it had in store. And if I lived, I was going to get a neck tattoo. 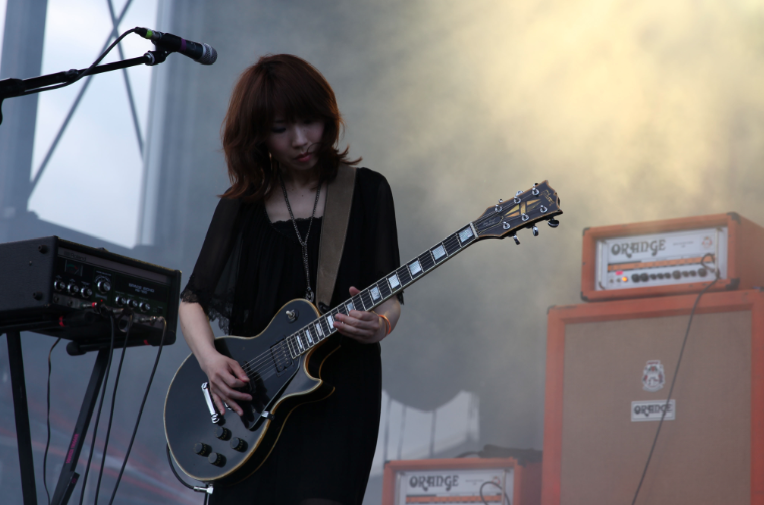 Boris – Reverberation Stage – 7:00 p.m. Smoke machines breathed a preposterous cloud of fog onto the stage and beyond as the three Japanese mystics that make up the sonically-shape-shifting sludge titan that is Boris took the stage. The first volleys of Atsuo’s mammoth pink acrylic bass drum displaced enough air to literally shake the clothing of all in range of the sound system, and guitarist Wata’s pallet of myriad fuzzy sounds careened through the field to drown out the engines of planes descending directly overhead into the nearby Austin-Bergstrom airport. The band spent the middle portion of its unfortunately short set lulling the audience into a trance with some gentle passages of effected guitar and droning bass, however, Boris ended things with Atsuo standing proudly upon his drum throne, dark locks blowing in the wind like an anime character in mid-attack, as he held a pair of mallets to the sky in an effort to solicit enough energy from the crowd to properly assault the gong looming behind him. The gong was given the mallets on the proper, another hefty blast of space-sludge was dealt, and just about everyone on the scene needed a drink or a nap. 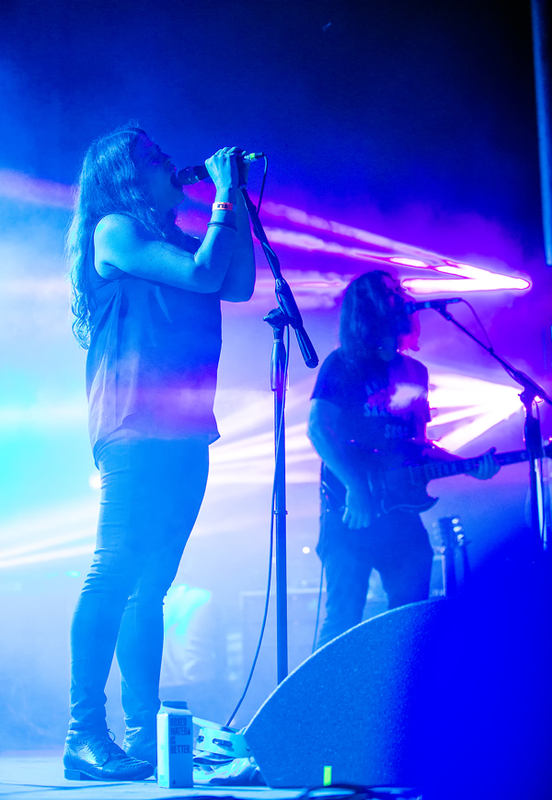 Black Mountain – Reverberation Stage – 8:30 p.m.
Vancouver’s drug-rock heroes Black Mountain first appeared beneath a threateningly dark sky. The Reverberation stage was illuminated in glowing blue hues as the band wove a droning tapestry of sound to call all stragglers from around the grounds to take part in the aural transference of beefy riffs and analog synth ecstasy. As singer/guitarist Stephen McBean entered into vocal communion with Amber Webber, the skies opened and a gentle rain began to fall. The crowd raised their collective hands to the sky, and the band laid into the hypnotic “Wucan”. Following McBean’s lengthy vamp on a choice, Sabbath-inspired guitar riff, a nearby audience member let out a 40 second bear growl; our thoughts exactly, bro. 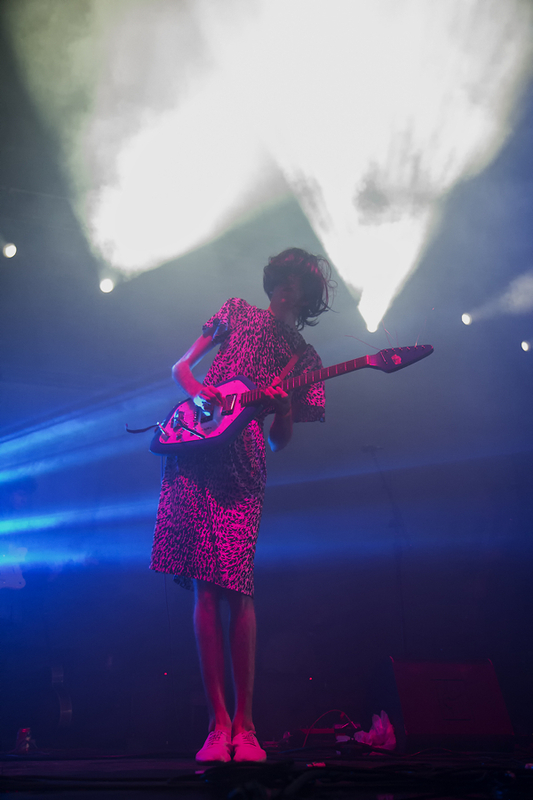 Deerhunter - Reverberation Stage – 11:30 p.m. Towards the end of Saturday night, the light rain that had accentuated the dynamic qualities of Black Mountain’s set went torrential, delaying reunited Brazilian pysch legends Os Mutantes’ performance quite a bit and turning much of the Carson Creek Ranch into a mud pit. The night’s main headliner, Atlanta’s Deerhunter, was forced to set up deep behind the pool of water that had collected at the foot of the stage. The band’s soundcheck took forever, continually derailed by frontman Bradford Cox’s snarly complaints to the soundman that he was “not ready.” Cox disappeared from the stage just long enough for us to grow curious as to whether or not the temperamental frontman would return, however, we were relieved when Cox’s alter ego, Connie Lungpin, arrived donning a long dress and signature wig to the jubilation of the soggy audience. The band’s set was a swirling cloud of delayed guitar and off-kilter rhythms that found its way from the crescendo of an ambling intro, to a focused run through of tracks pulled mostly from their forthcoming, Monomania. “Sleepwalking” and the album’s pulsing title track swirled within the fog and lights that shrouded Cox (or Lungpin) from the audience. Later on, Cox walked the line of sarcasm when referring to the audience as “troopers” for hanging out so late in the rain, and made a few awkward jokes by accusing the audience of being high and something or other about finding Jesus. It was weird, but weird was the advertised fare here. Elephant Stone - Reverberation Stage – 4:00 p.m.
On Sunday, most of the mud created by Saturday night’s brief deluge had dried up, the sun shined brightly overhead, and the Reverberation stage housed what appeared to be a gaggle of George Harrison’s undocumented children. There was a young man line-checking a sitar whom we soon identified as Rishi Dhir, pointman for The Black Angels and multi-instrumentalist extraordinaire, and as soon as the sound check was complete, the visual of the Harrison-hatchlings was brought full circle by Elephant Stone’s decidedly British sounding take on psychedelic rock. An ideal modern-day representation of ’60s psych, to be sure. 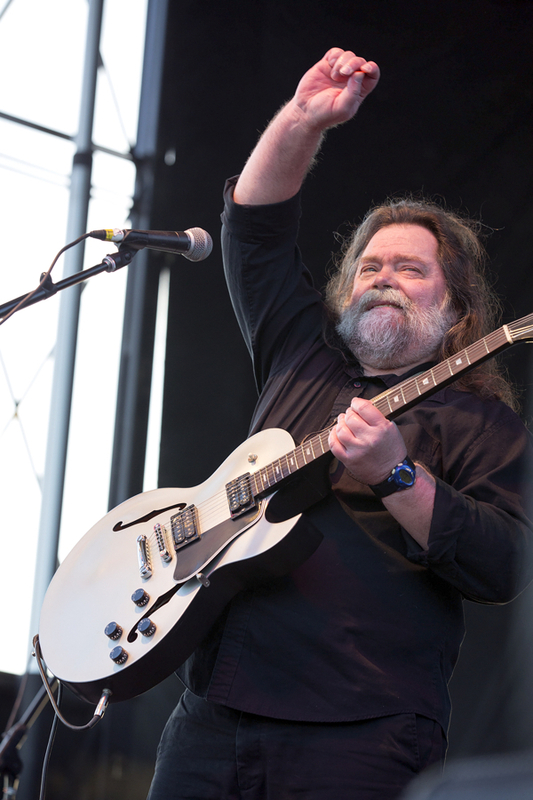 Roky Erickson - Reverberation Stage – 7:30 p.m.
Roky Erickson has not led an easy life, as is well documented in the heartbreaking documentary, You’re Gonna Miss Me. However, despite the challenges of mental illness and many years of horrifyingly improper care, the legendary former leader of the 13th Floor Elevators, pioneering granddaddy of psychedelia, and all around national treasure is still with us — and occasionally still performing! Without Erickson, there would be no Psych Fest — something we were repeatedly reminded of as guitarist after guitarist sound checked with the opening chord progression of “You’re Gonna Miss Me” throughout the weekend. The crowd watching Erickson perform on Sunday night was dotted with the members of bands that had already performed, all taking in the glow of a living legend. While it was clear that Erickson’s hard times have worn on his performance abilities, the inimitable howl that changed the course of rock for many remained (moderately) intact, and the band of pros backing Erickson did an excellent job of keeping things on track and the excitement high, particularly through the string of Elevators classics Erickson used to close his set. The Black Angels - Reverberation Stage – 9:00 p.m.
Blasts of deafening, sinus vibrating bass flooded the fields of the Ranch at 9:00 p.m., signaling the arrival of The Black Angels. Frontman and Psych Fest co-founder Alex Maas thanked the crowd for their attendance and shortly after decreed “this is your fest” with a disarming sincerity before settling in behind an effects-cluttered Farfisa organ. 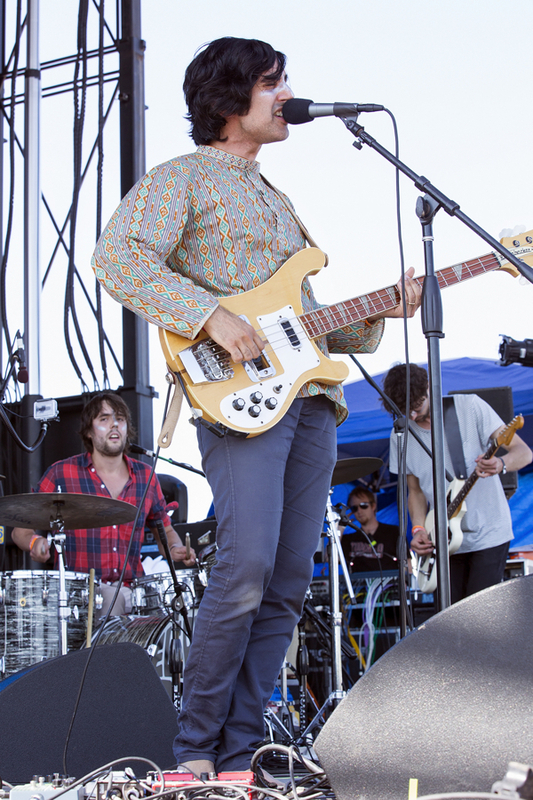 Maas’ and his bandmates tipped things off with several tracks from the group’s recently released Indigo Meadow. Though the songs are painted in the same reverb and glistening organ that put The Black Angels on the map as one of the most important psych-rock groups since the Brian Jonestown Massacre, they punch in a different manner than fare from the group’s earlier albums. The performance had an air of occasion, and as the band channeled the deep grooves of favorites from Phosphene Dream and Directions to See a Ghost, the audience appeared completely entranced in the ethereal cloud swirling sounds. The set wound to a gentle end via several songs featuring Rishi Dhir’s transcendental sitar playing. The Moving Sidewalks - Reverberation Stage – 11:00 p.m.
Billy Gibbons has been, and will probably always be, the most vocal champion Roky Erickson has ever had. And while many wouldn’t immediately associate the iconic ZZ Top guitarist and singer with Austin’s psychedelic-rock history, his first bones were made via The Moving Sidewalks, a band he essentially modeled after the 13th Floor Elevators. The Moving Sidewalks toured with the likes of Hendrix and The Doors before the Vietnam War called upon two of its members to hit the jungle for Uncle Sam, making way for ZZ Top to form in their absence and afterburn up the charts. 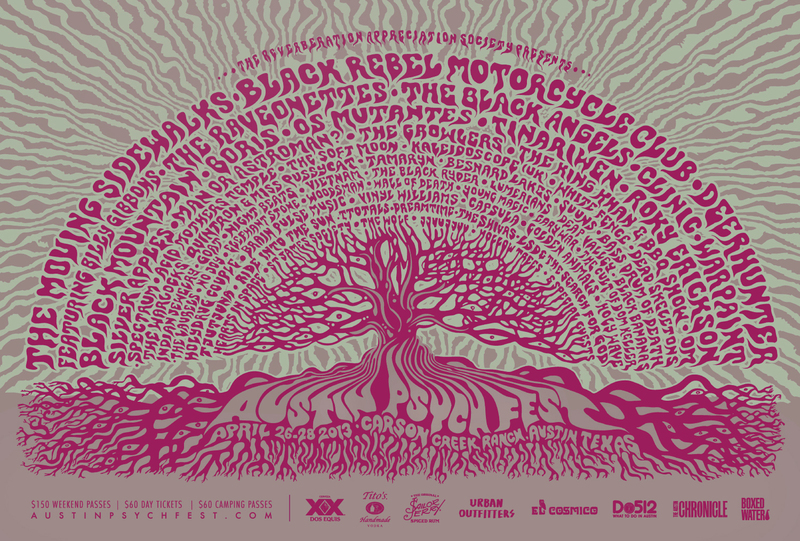 The group reunited in early 2013 for a show in New York City, so, it was only natural that they would seek retribution as headliners of the sixth edition of Austin Psych Fest. 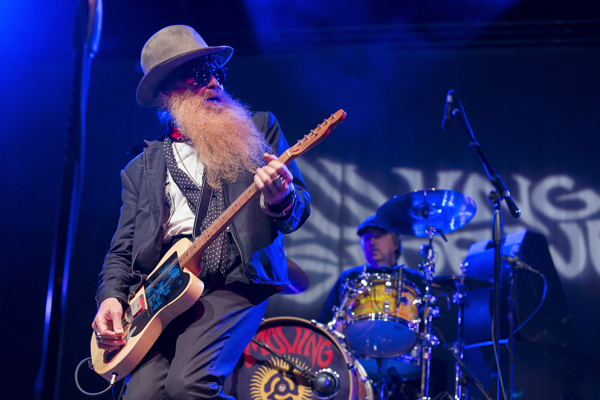 The performance served as a close encounter with Gibbons’ swampy blues guitar without the backing tracks we’ve come to expect from recent ZZ Top sets. The band pulled from its original catalogue that included a smattering of singles and a full length release, but the Reverend Billy G made sure to mention the time they spent in Hendrix’s keep prior to leading the band through hazy readings of “Foxy Lady” and “Red House”.